This picture pretty sums up how much our family loves peaches. We have had about 6 pounds of peaches in our refrigerator at any given moment the last couple of months. We mostly eat them fresh as snacks or with breakfast, but I wanted to also make something with them as well. 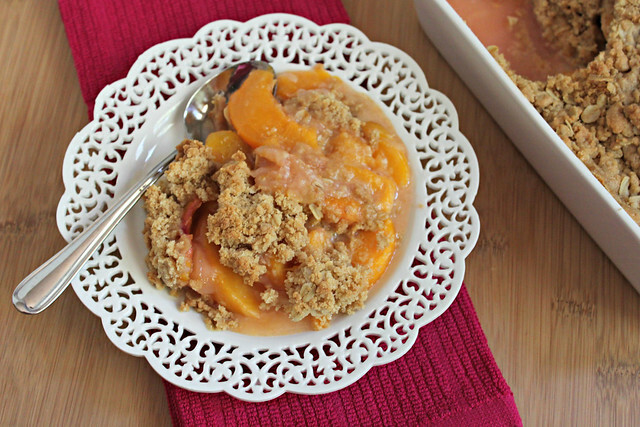 I came across a peach and blueberry crumble recipe and thought it would be perfect. I ended up leaving the blueberries out but you can add them or raspberries as well. 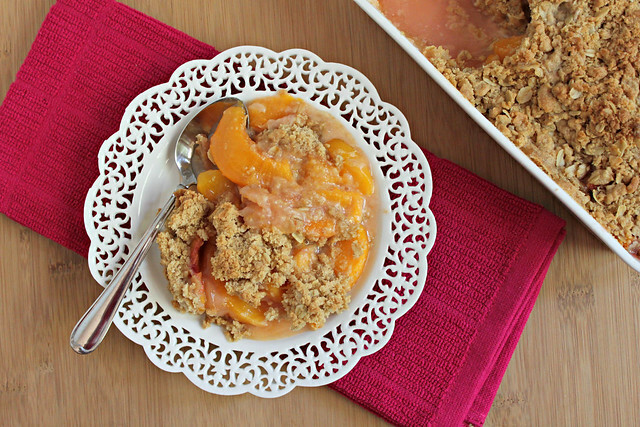 Overall we really enjoyed this peach crumble. I made it one afternoon and it was gone by the next day. I reduced the sugar some and added old-fashioned oats to the crumble topping and it was perfect. 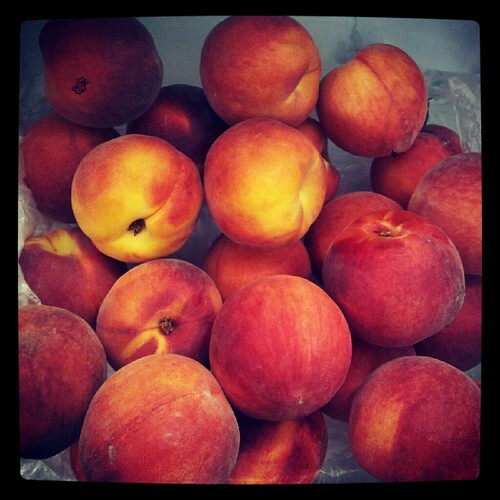 If you can’t find any good peaches you can substitute nectarines instead. In a large bowl, combine white sugar and cornstarch. Toss in peaches (and blueberries or raspberries, if using) until peaches are well coated. Pour filling into an 8x8 baking dish or pie dish. In a medium sized bowl, cream together butter and brown sugar. Stir in the flour until mixture resembles coarse sand. Toss in oats until just combined. Spoon crumble topping evenly over filling. Bake for about 40-50 minutes. After about 30 minutes tent with foil. Allow to cool at least 20 minutes before serving.